Woohoo! 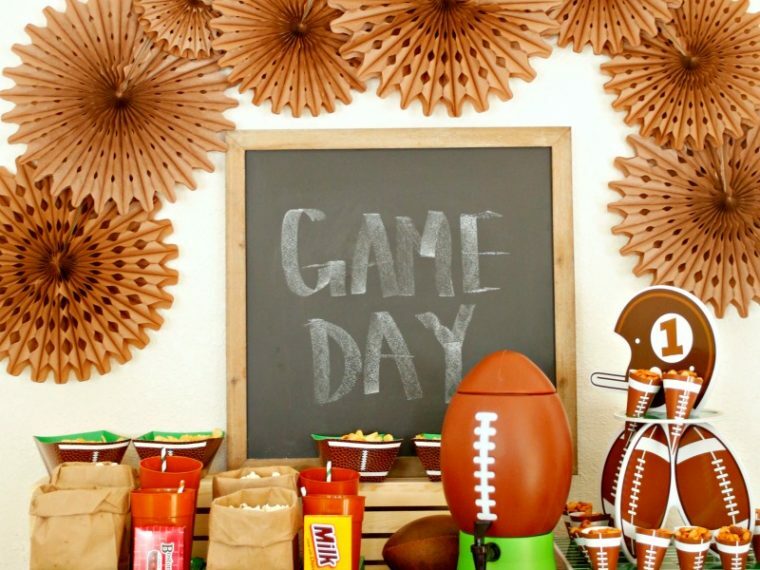 Tis the season for College Football Playoffs! 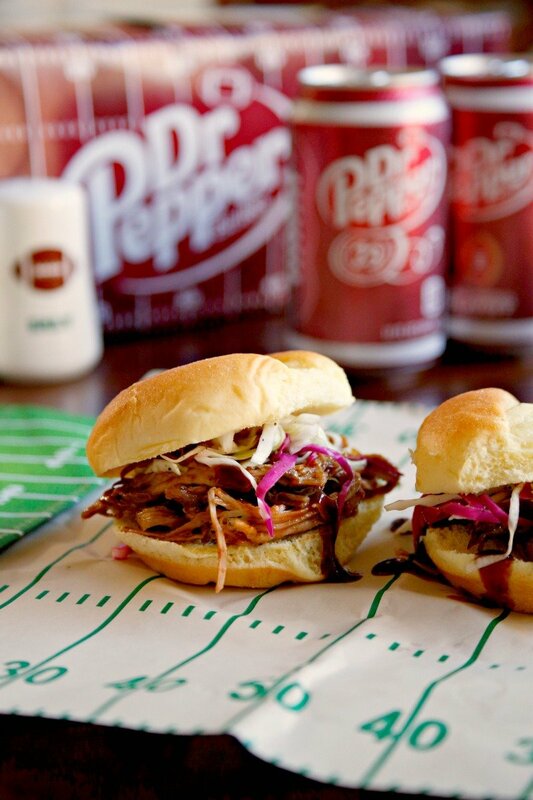 These barbecue pulled pork sliders are the perfect thing to serve at your homegating party. Go team! Somewhere along the way, I became a football fan. I'm not really sure when it happened. 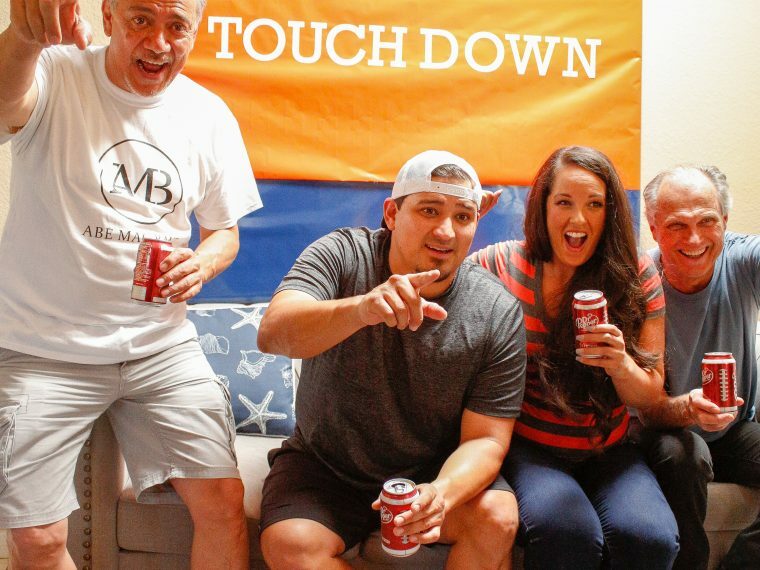 Maybe when my little boy joined peewee football a few years ago or maybe it gradually happened as my hubby would take me to homegating parties at our friends' houses. But I knew I had grown to love football when I would find myself jumping up and down off the couch after a touchdown or yelling at the T.V. after a bad call. I even joined a fantasy football league this year. So, I'm pretty excited about College Football Playoffs. We host a bowl game here in my city, and I went to watch the game one year. I think it was one of the coldest days we've experienced in recent years. It was an awesome experience, but I much prefer to watch the game in my nice warm home! 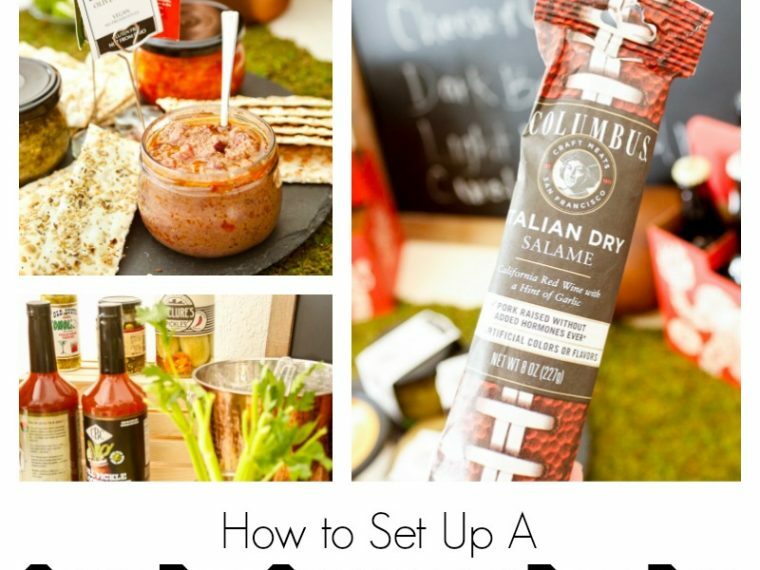 I also love to entertain, so homegating is right up my alley! 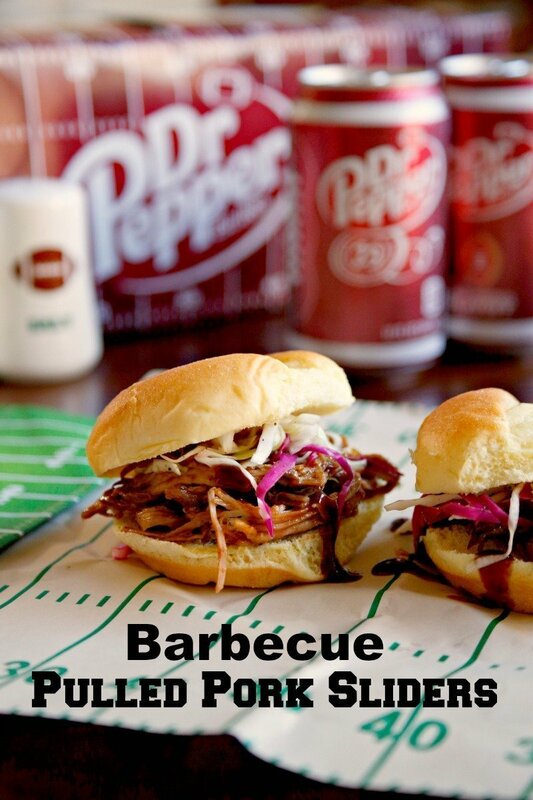 These barbecue pulled pork sliders are going to be in my go to recipes for entertaining hungry football fans. 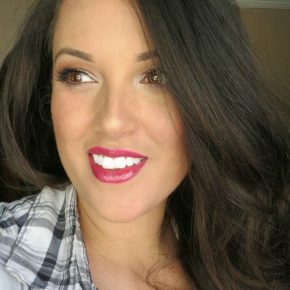 I frequently talk about how I like to shop at Walmart when I'm planning a party. You can get almost everything you need in one stop at reasonable prices. Well, last week, I used the Walmart grocery pickup service for the first time, and it's pretty much my new favorite thing! Talk about convenience! 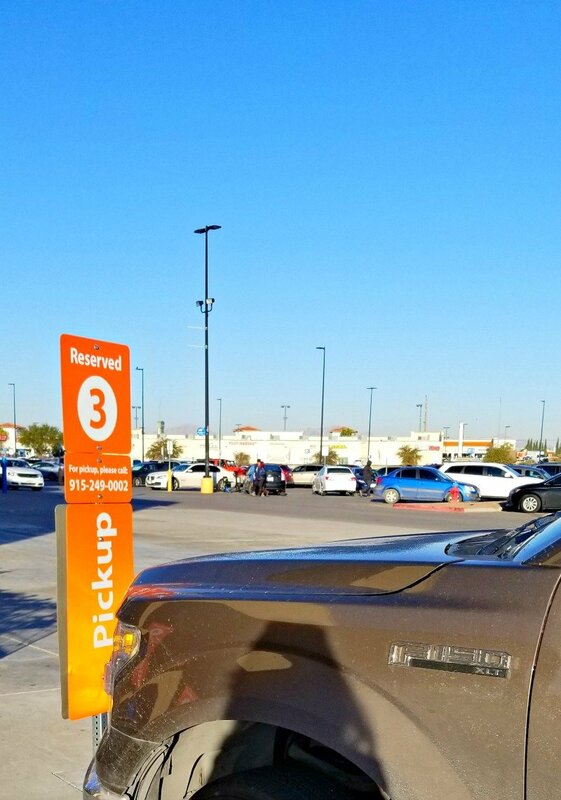 You order your groceries online, then a Walmart worker brings your groceries directly to your car. 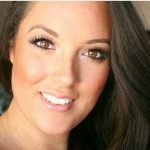 It saves time, and if you're like me, money too - I'm a notorious impulse shopper. 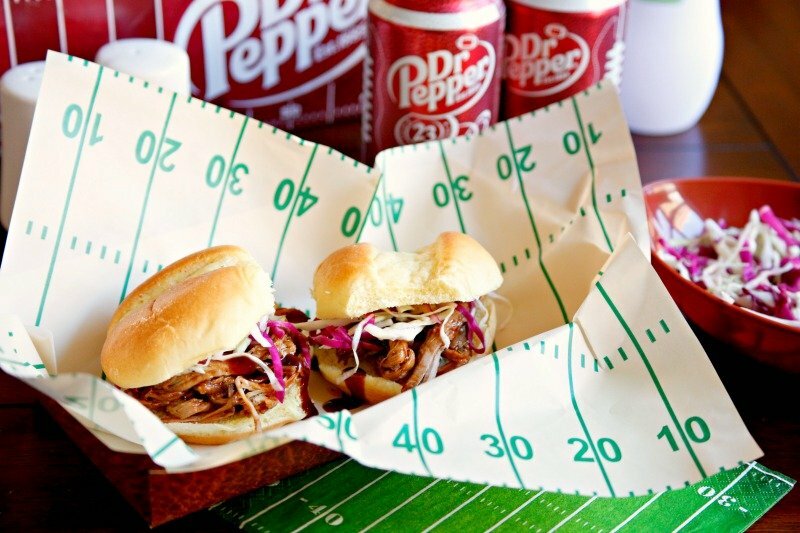 I was able to order and pick up all of my pulled pork slider ingredients, as well as my other game day staples - plates, napkins, chips, and a pack of Dr Pepper®. Check for the 2-liter football bottles as well. They are great for having out at your Homegating party. The sliders start off with a tender pulled pork. 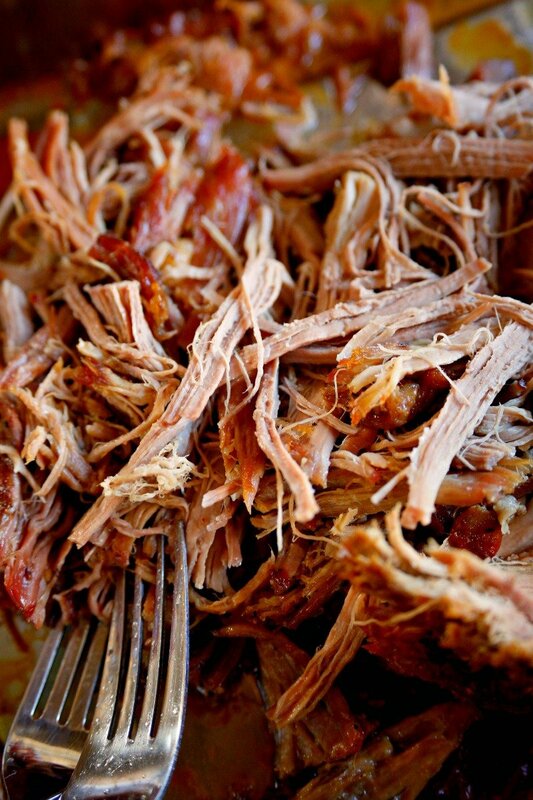 Then toss the pulled pork in your favorite barbecue sauce. 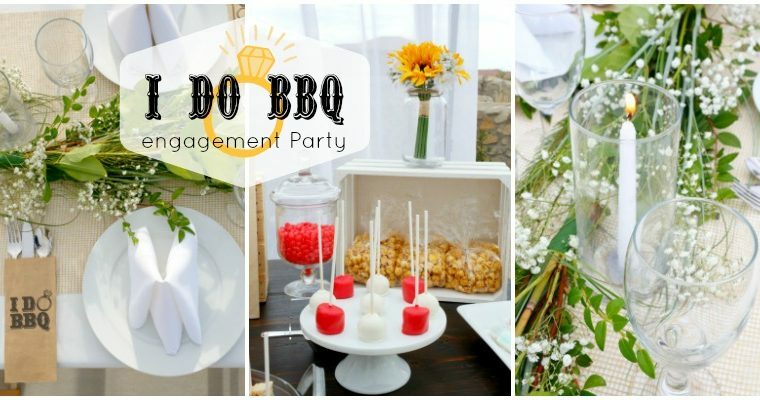 I have a delicious homemade Dr Pepper barbecue sauce recipe that you can find here. Up next is a zesty cole slaw. I like to use both green and red cabbage. 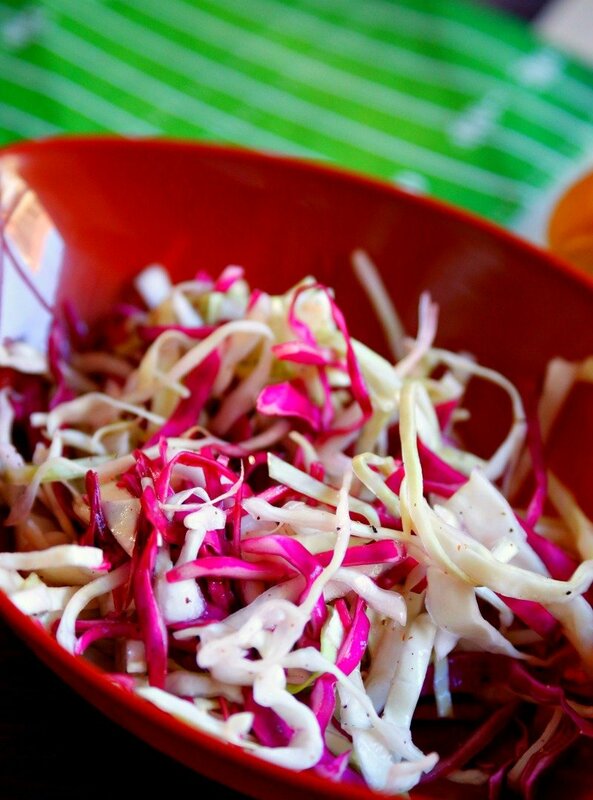 A little salt, pepper, and sugar mixed with apple cider vinegar over the cole slaw makes an outstanding topping. To assemble the sliders, start with toasted Hawaiian bread buns. Then add some pulled pork, a little drizzle of barbecue sauce, the cole slaw, and finish with the top bun. Score! Try them. 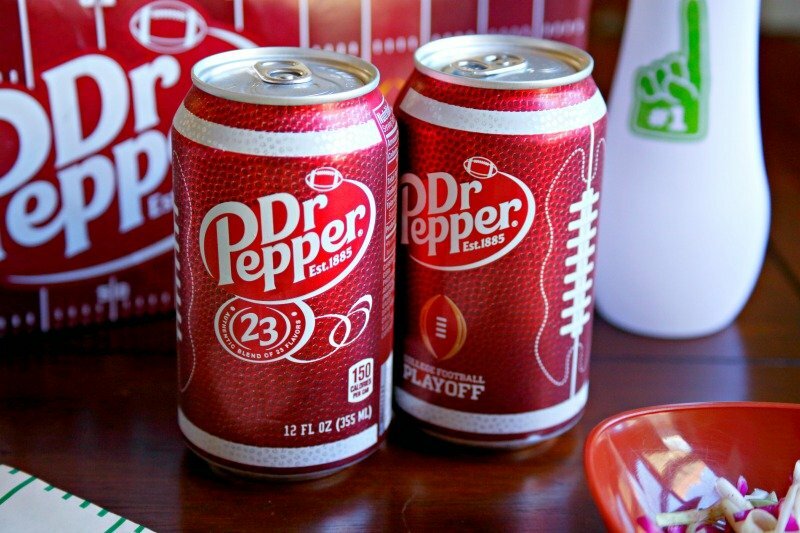 You're gonna love 'em with an ice cold Dr Pepper while you're watching your team win the big game. 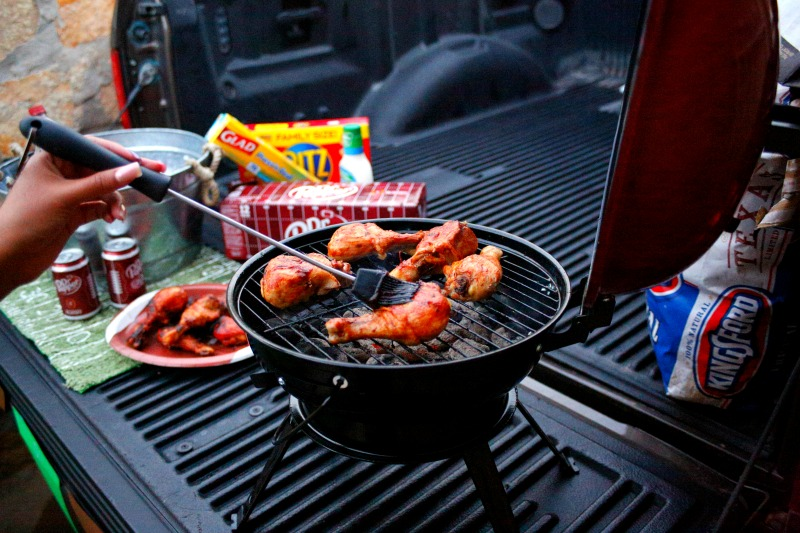 For more great homegating ideas and recipes and to find a Dr Pepper event near you, click here. Rinse and dry your pork roast. Mix the water, liquid smoke, and Worcestershire sauce together and pour into roasting pan. Place the pork roast in the pan and cover tightly with foil. Bake at 425 for 20 MINUTES. IMPORTANT: Turn oven to 325 degrees and cook at this temperature for one hour per pound. Roast should be fork tender when done. Add additional cooking time if the roast doesn't pull apart easily. Meanwhile, make the slaw. Combine the cabbage, salt, pepper, sugar, and vinegar in a container and toss well. Refrigerate for about half an hour before using. Once the pork is done, use two forks to shred the meat. To assemble the sliders, place some pulled pork, a drizzle of barbecue sauce and top with the cole slaw between to mini Hawaiian bread buns.